Big on size. Even bigger on performance. 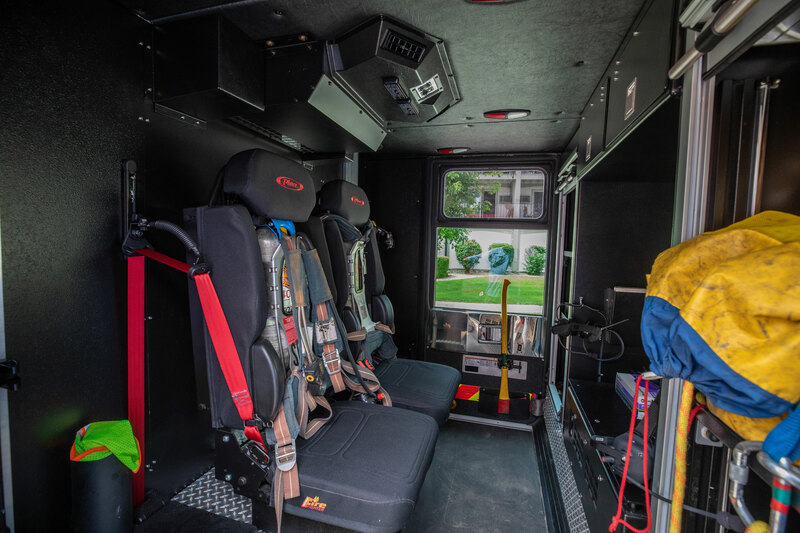 The Pierce Quantum is the truck of choice for departments that demand the absolute best and nothing less. 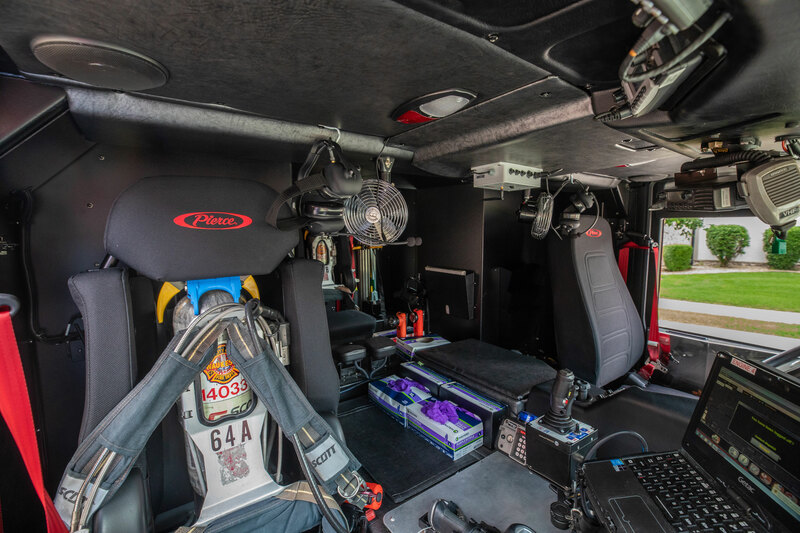 You'll get the exact truck to meet your needs, loaded with the options that are vital to your success. The bold style of the Quantum provides a low engine tunnel, creating a large open cab with greater visibility. Automatic stair steps provide a safer forward entry and exit from the cab. 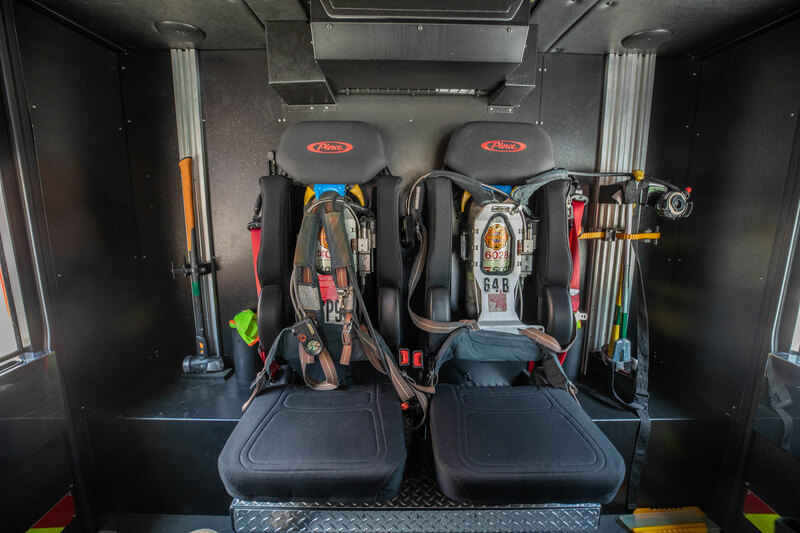 The Quantum performs like the world's most technically advanced fire apparatus. Because it is. 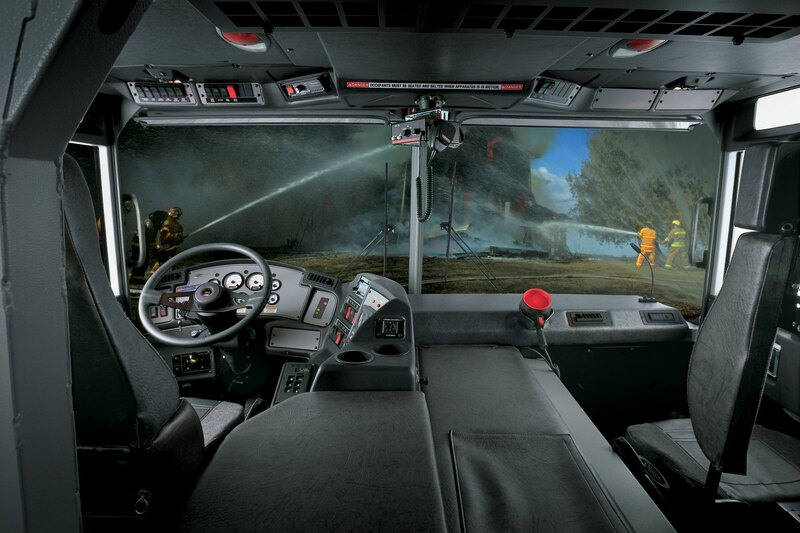 A large, wrap-around, 4,100 square inch windshield for unmatched visibility. Upper windows above doors for better visibility & brighter interior light. 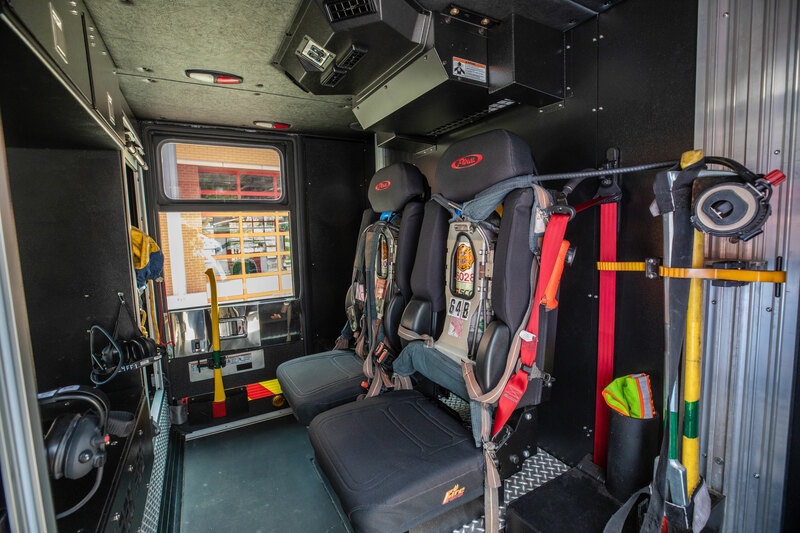 One of the largest cabs in the industry providing abundant interior space & improved comfort with a flat floor, low engine tunnel, more head clearance, & room for up to 10 firefighters. 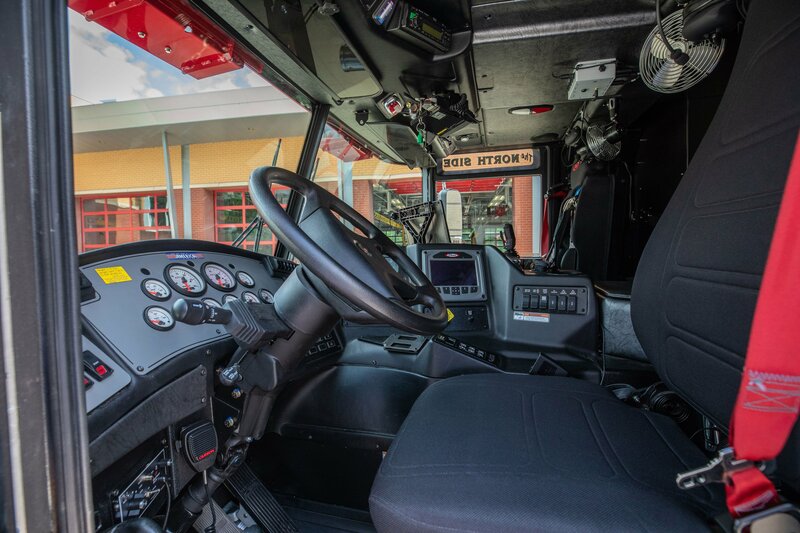 The ergonomically designed wrap-around dash puts you in complete command of any situation & keeps the controls at the fingertips of an operator. Air-actuated steps fold out automatically to provide a large, low first step from the ground that makes cab entry or exit easier. 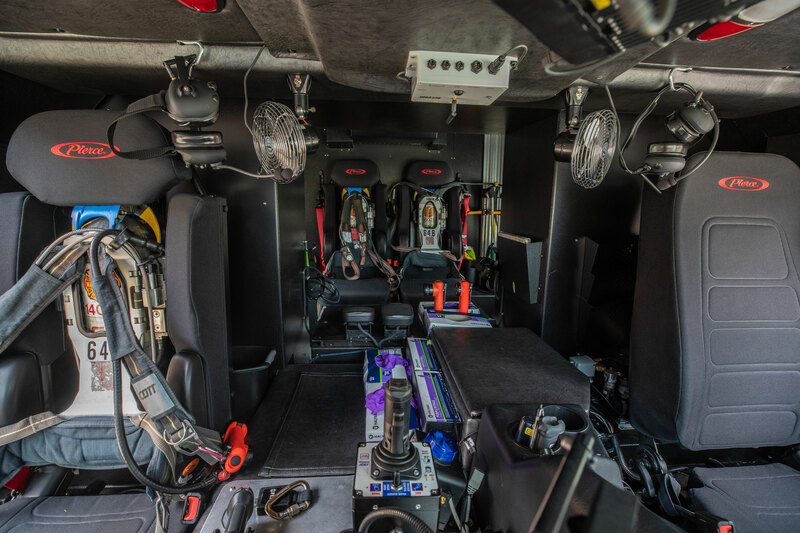 In-cab maintenance access for chassis fluids & power distribution makes servicing easier. The cab tilts to 42-degrees, providing convenient engine & power train access. High angle of approach to handle obstacles with confidence. 45-degree cramp angle for maximum maneuverability in those tight areas & challenging situations. Length 67" or 74" / Width 96"
Pantograph wiper blades clear a maximum amount of glass area. Windows provide better visibility and brighter interior light. A large, wrap-around windshield offers a 180-degree view; tinted safety glass cuts the solar load and heat. 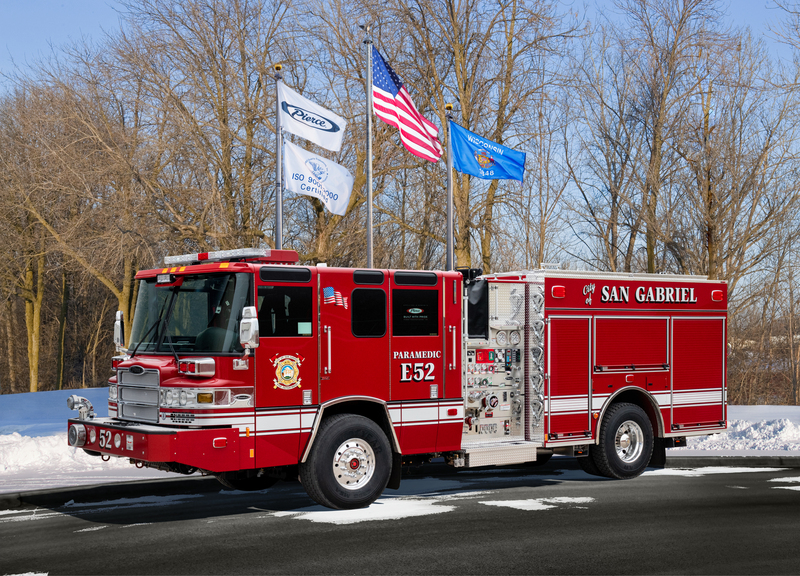 Sales Organization: South Coast Fire Equipment, Inc.